Kellie designed this gorgeous bird-themed card. 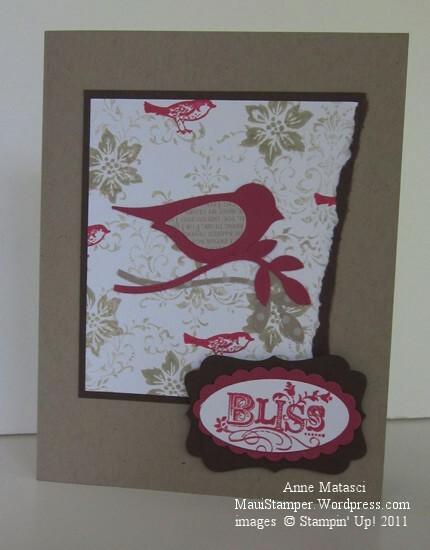 The XL Two Step Bird punch worked perfectly with the Bliss set from Sale-a-bration. The images in that set are awesome collage elements! I tore my paper with such a strong angle that it makes the card look off-square, but that’s hand-made for you! 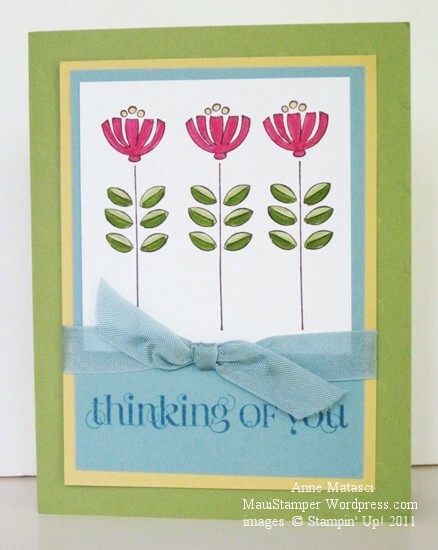 Crystal chose some of my absolute favorite colors for this Sweet Summer Sale-a-bration card; Baja Breeze and Pear Pizazz. She colored the images with markers – did you notice that she used two different colors on the leaves? And that Baja Breeze Seam Binding? Simply gorgeous! 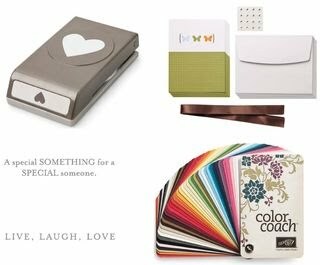 Sale-a-bration isn’t just about earning free stamps and other goodies – it’s about becoming part of the Stampin’ Up! family, too. 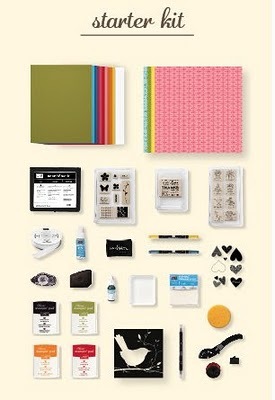 The Demonstrator kit is a bargain any day of the week, but during Sale-a-bration it’s 15% off PLUS Stampin’ Up! is throwing in a bundle of extra goodies worth $50. Wouldn’t you like to be a Maui Stamper? Ah, choices, choices, choices. What will you choose?